Meet the Shows of September! Earth People! Specifically, people of Seattle, please pay attention. Everyone else...take a breather, I'll holler at you later. Let me tell you about some shows coming up in the immediate future. Firstly, I'll be playing in a line up with Dwight Smith, Heddwen, Coach Phillips at the Rendezvous on Tuesday, September 19. Find more info here. What would it mean to you to be able to take an hour to lay down, let beautiful sound wash over you and peel off at least the top layer of weight that the world has heaped on you? Think of it as an act of defiance against every alert or buzzing of your iPhone. An act of resistance against the forces that demand you divide your attention in 17 different ways every minute. When we’ve all been assaulted by work, news, life, stress…We’ll use improvised sound to generate a bubble of timelessness in a world that increasingly demands more of our time and attention. Lay down comfortably. Slow your heart rate. Be washed by sound and music. Experience timelessness. A form of meditation. A long breath to transition from the week to the weekend. 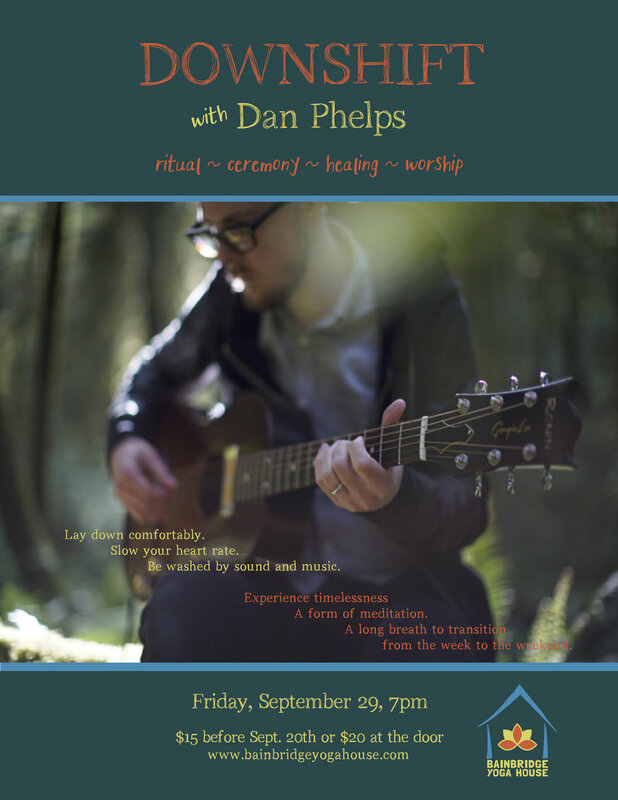 I've been wanting to do something like this for a long time, and I'm thrilled to get to try it out at Bainbridge Yoga House, which is a beautiful and familiar space. As always...thanks for your time, and be well!